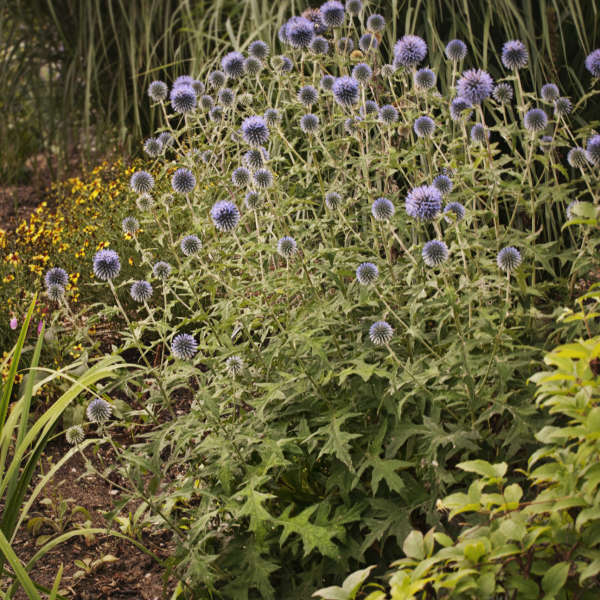 A member of the Aster family, Echinops is a clumping perennial that is very easy to grow but not invasive. Beginning in early summer, intense blue spheres measuring 1.5" across appear on tall, unbranched stems. Bumblebees and nocturnal moths delight in their sweet nectar. This variety is very similar to E.ritro with leaves that are more deeply divided and hairy. 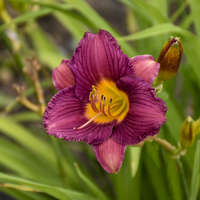 These distinctive flowers rise above the showy silvery green foliage. Though they look prickly, they are not as rough to the touch as you might expect. Echinops makes a great cut flower or dried everlasting. They add a unique element to any arrangement and are becoming more popular with florists every year. 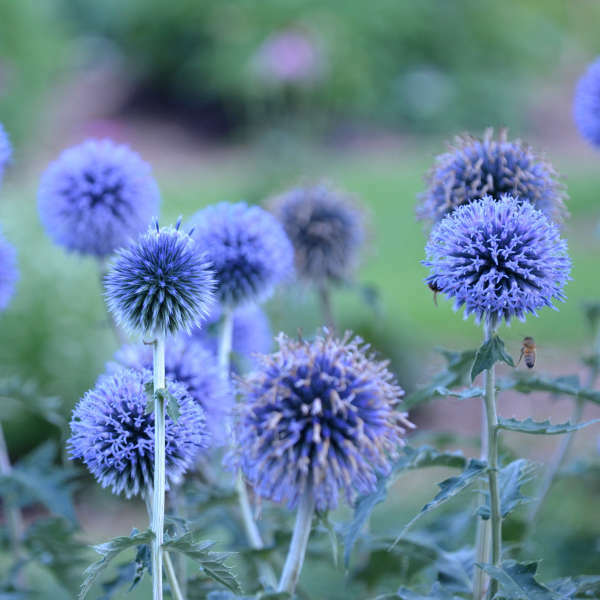 Echinops is best when grown in poor, well-drained soil and full sun. 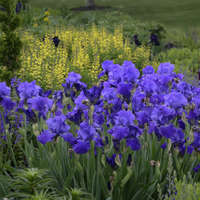 However, it will tolerate almost any soil and part shade. 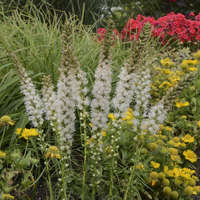 To encourage rebloom in the fall and to prevent self-seeding, spent flowers should be removed. Mature plants 3 or more years old may be propagated by removing the small plantlets surrounding the main clump of foliage and replanting them. This may be done in either spring or fall.